Hello, my dears. I have a rather busy week ahead of me, it's going to be a tad stressful but I'm very much looking forward to it. Today, my second year art class started to prepare for our final major project exhibition, which will open to the public next Wednesday, with the private viewing being held the day before. I'm a bit annoyed though, because our exhibition is to be held in our rubbish classroom, whilst another year's work gets to put up in the college gallery. 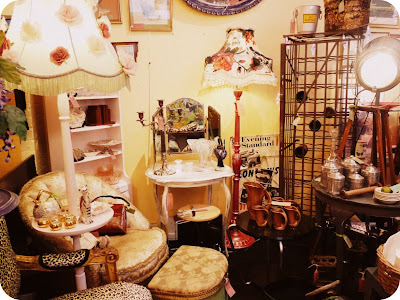 I took a bit of time out earlier to pop to my favourite shop in Kingston, a gorgeous antique and vintage market. 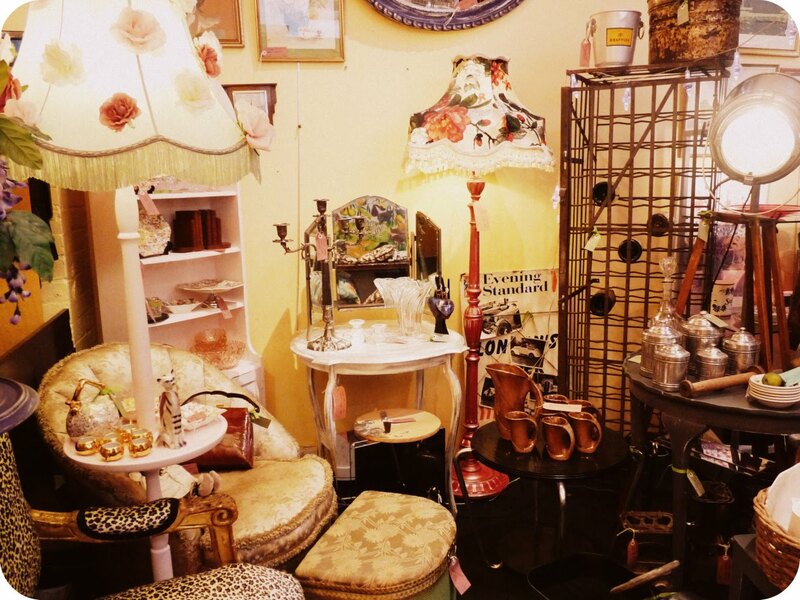 The shop is full to the brim with vintage, vintage inspired and antique furniture, clothing, jewellery and trinklets. Most of the stuff is a bit out of my price range, but there are bargains aplenty to be found, I recommend you have a little visit! Tomorrow I shall pop back to college, even though it is my day off to check out the progress and possibly hang up my frame and shelf. Then in the evening my Grandma and I will be going out for a free dinner at 222 Veggie Vegan, as a couple of weeks ago she won a £50 tab with her local newspaper (oh how we love our competitions!). On Friday and Saturday, I shall be attending a full two day Quilts conference at the V&A, which will focus on the hidden histories and the untold stories of quilts. The conference is meant to cost £92, but as I am a student I only had to pay £10, bargain! Also, as part of me attending the conference, I have been given the oppotunity to visit Natasha Kerr's (the artist who inspired my final piece) studio, which I shall visit on either Thursday or Sunday. How exciting! I wish you all a wonderful week. Love Jazzabelle. Sounds like you have a really exciting week ahead of you! Hope you enjoy it. And that shop looks amazing, going to have to have a look next time I'm in Kingston. Your week sounds amazing! I am so jealous you are going to that quilting conference, it looks brilliant! And Natasha Kerr!?? *Swoon* I love her! Seriously this is quite freaky, we go to all the same shops, fabric land's just a little up from there! Te he, I practically live there. And the Antiques Market so so amazing, I love it to bits! I went to the quilts exhibition with my mum, its really interesting, some Greyson Perry and Tracey Emin in there, both whom I adore. I hope you have a lovely week, fingers crossed the weather stays gorgeous. always love coming to your blog, beautiful! Ooooooooh good luck my loveliness! OH MY GOSH I'm working just up from the V&A! :D I instantly thought of you when we walked past - I get an hour for lunch any time between 12-2 so we could possibly go for lunch? I'll bring a picnic and we can sit in the grounds :) Let me know which day is best for you, or even next week. I love youre blog I visit it every day. You take great pics. I wanted to ask what camera do use? Is it a fujifilm finepix? Good luck and have a wonderful vegan dinner. Your photography skills are awesome, that shop looks a little like my lounge...eeekkkk! Sounds like an exciting week even if it is going to be stressful, enjoy! I live near Kingston – thank you for letting me know about this beautiful market. Will have a nosey next time I make a visit! 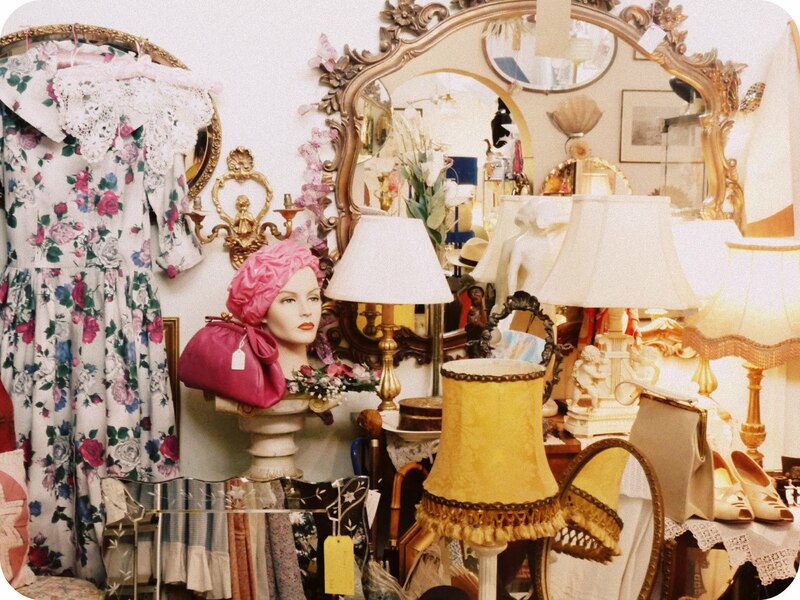 That vintage shop is beautiful. I should start taking note of nice places and shops to go to because I think the mac store in Covent Garden is the only place I know! PS. 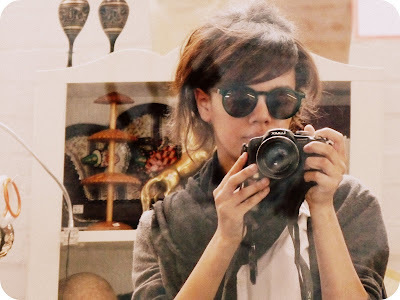 Im in love with your sunglasses!